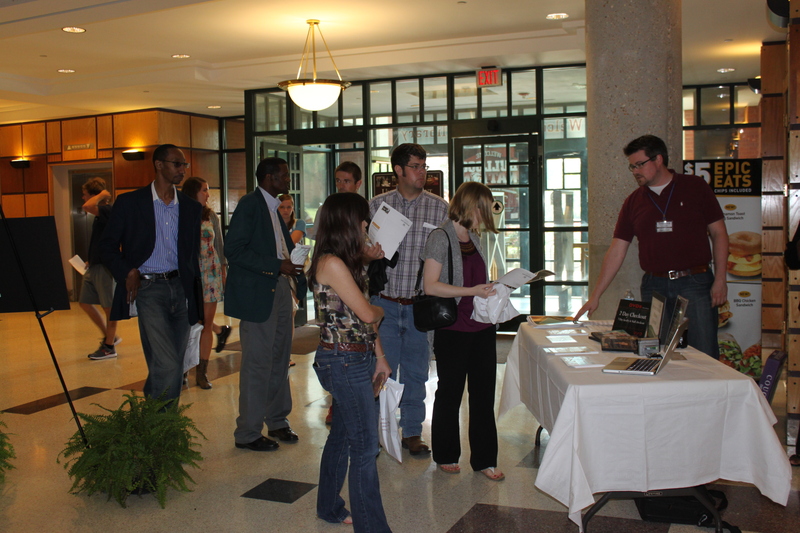 The annual Student Information Fair at Mitchell Memorial Library highlights Library and campus services. Learn how to start and finish your dissertation, conduct ethical research, write a literature review, get published, or start your job search! These one hour workshops and resources are designed to assist you in successfully navigating your academic career at MSU. Research assistance is available in-person and online. Click Ask A Librarian on our web pages for chat, email, and phone options. In-depth help is available by appointment with subject specialists. Access MSU Libraries' research databases, online journals, and other authoritative online research resources via our web site. Mitchell Memorial Library provides group study rooms with white boards, power, networking, and wireless network access. Enhanced technology presentation rooms such as the Think Tank are available for reserve. Request materials that the MSU Libraries do not own from other libraries. MSU Libraries subsidize the cost of delivery of articles including copyright fees to its graduate students. the Digital Media Center offers PC's. Macs, scanners. music composition stations, and video capture stations along with a verity of software options. The Digital Media Center also offers laptops, netbooks, camcorders, etc. for checkout. The Office of Thesis and Dissertation Format Review reviews documents for compliance with University guidelines regarding format after approval by the graduate student's committee members. A wide variety of services are available to all of MSU's distance education students and students working on dissertation and thesis hours out of state. MSU graduate students may borrow circulating books from Mitchell Memorial Library for up to 56 days, with the option to renew online. Graduate students may also borrow up to five volumes of bound journals overnight. The complete guide to being a Bulldog. Contains everything from common MSU terms to a guide to MSU traditions, from student honor and etiquette to course and grade policies. Housed within the Office of the Dean of Students and part of the Division of Student Affairs, the office provides resources to assist students living off campus.